Who will survive the Tomb of Immortal Darkness? It’s a new five-man dungeon coming to World of Warcraft that’s “deep beneath the crumbling tombstones of Duskwood’s Raven Hill Cemetery.” (Incidentally, Duskwood is my favorite old world area. Oh, the memories.) 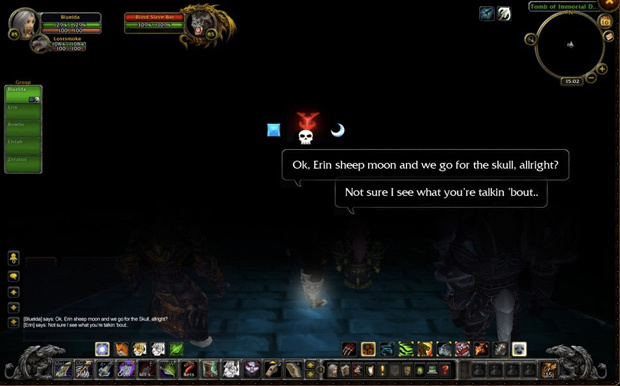 The dungeon uses Deep Dark technology to give players the ultimate challenge: navigating an instance in total darkness. Is your toon gear’d enough to take on Omgsogoth, the Dark Lord of Twilight? Clearly this is a silly April Fools gag (I hope that doesn’t spoil anything for you), and it’s just one of a few Blizzard has going on. Another worth mentioning here: Kinect functionality in StarCraft 2!